If your Denver company is looking around for a copier, you may be surprised by the idea that you should consider electronic filing. Technology has come a long way, and there are major benefits to using electronic filing. If you’re not sure whether this is something that would be worthwhile for your company, think about these important points. What kinds of things does your company do that could be switched over to electronic handling? Does your Denver office use a copier to make copies of things like accounting records, purchase orders and invoices? If you switch some of these things over to electronic filing, you’ll lower your storage expenses and streamline your processes. It’s a lot easier to simply scan a document and then make it available to those who need to have access to them. Also, if your documents are electronic, you can access them from pretty much anywhere. These benefits make it a good idea to consider moving your office toward electronic filing. 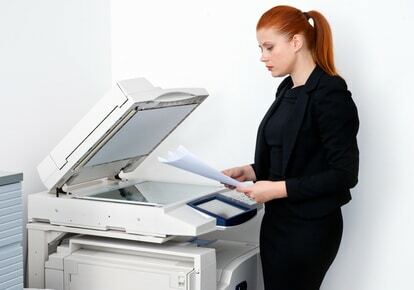 Although it may seem a little pricey up front to invest in a copier capable of performing these activities, it’s well worth the investment to keep your Denver office running efficiently.